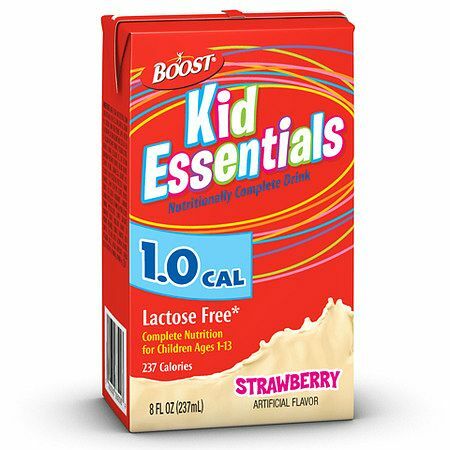 Resource Just For Kids: Serious nutrition in a fun, colorful drink box that children love. Complete, balanced nutritious drink that supplies protein and essential vitamins and minerals. Great source of calcium to help grow strong bones. Formulated for children ages 1 to 10. Also available in two kid-friendly flavors: French Vanilla and Classic Chocolate. Just chill and serve in the handy drink box with straw convenience but without the metallic taste like canned nutritional drinks. Resource Just For Kids is a medical food: please consult your health care professional on the use of this product. Resource Just For Kids is commonly recommended for children with these conditions:Before or after surgery, Chronic illness, Difficulty maintaining a healthy weight, Poor appetite. For Nutrition Information please see package for details.